This unit offers 3 BR, 2 BA, sleeping 8. Two Queen beds, two single beds and one queen sofa bed. One TV and DVD player in living room. Enjoy the view from the private balcony that runs the whole length of the unit. Standard coffee maker. This property has 2 Queen(s), 1 Pull Out Sofa(s), 2 Single(s). Once confirmed, if you must cancel your reservation regardless of the reason and the unit is not re-rented for the cancelled period, you will forfeit all money pre-paid. Payments will be refunded if the property is re-rented at no loss to the Lessor less a $100 service charge. Requesting transfer to another unit is a cancellation. 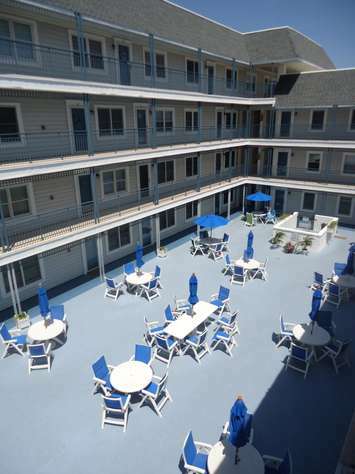 A deposit of 50% of the rent amount is required to confirm your reservation. 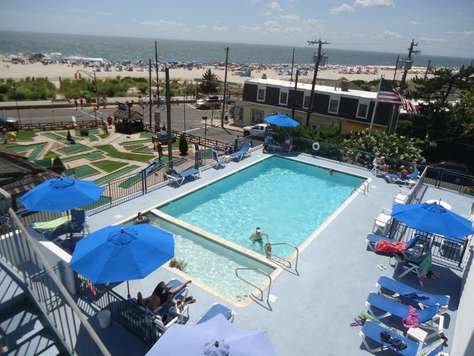 The remaining 50% as well as the $55 Accidental Damage Protection Fee, 6.625% State of NJ sales tax and 5% accommodations tax are due 30 days prior to your arrival.